Are there locations on Earth that only have one season? I am looking for locations/places/countries that only have one season. 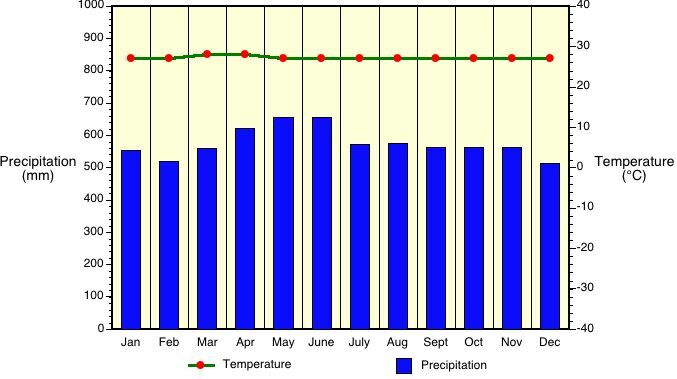 By seasons, I mean a large varying change in temperature and precipitation caused by the climate in the region. I am not looking for abnormal weather. Due to the obliquity of the Earth, no place would truly have a single season, which in this answer is taken as having consistent conditions, particularly in terms of temperature and precipitation. 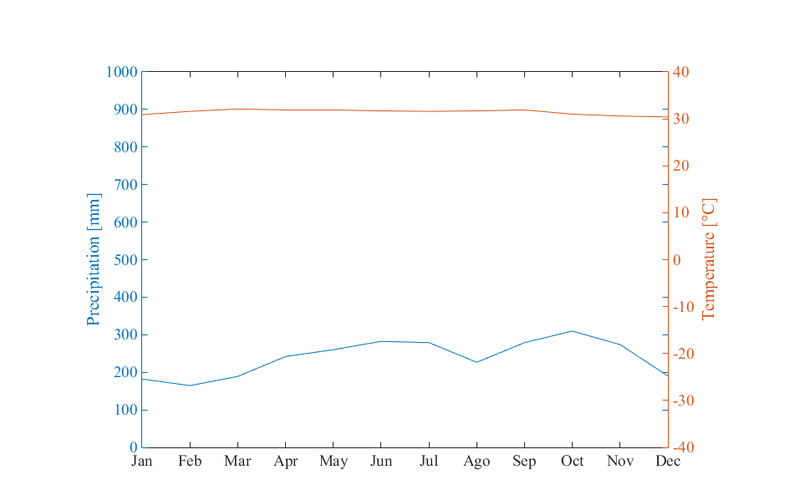 Image source - the blue line represents the yearly trends across the year for equatorial regions. Although, according to the article, the temperature remains fairly constant, precipitation can have alternating wet and dry periods, and can affected by other climatic factors (depending on location) such as El Niño, monsoons etc. 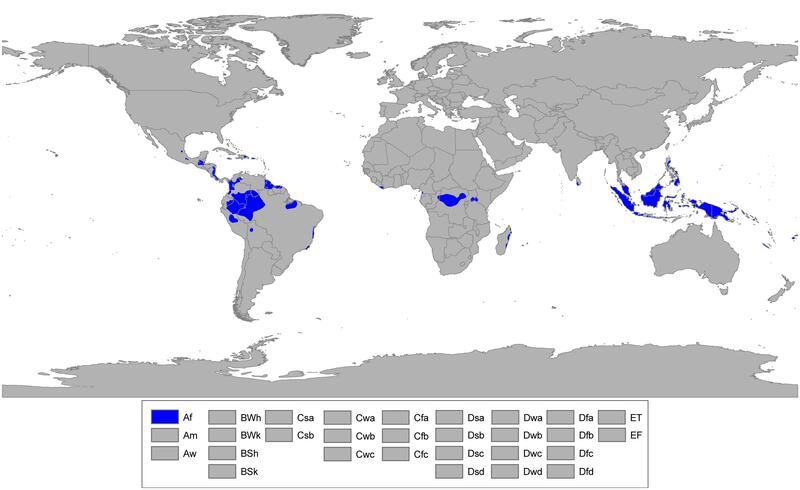 Image source: Climate Classification and Climatic Regions of the World, which describes the classification Af as lying within the influence of the Intertropical Convergence Zone (ITCZ) and experiencing very little variation in temperature and precipitation throughout the year. The region on Earth that display the smallest contrast between seasons is that in the vicinity of the Equator, because of the smaller changes in solar irradiation. 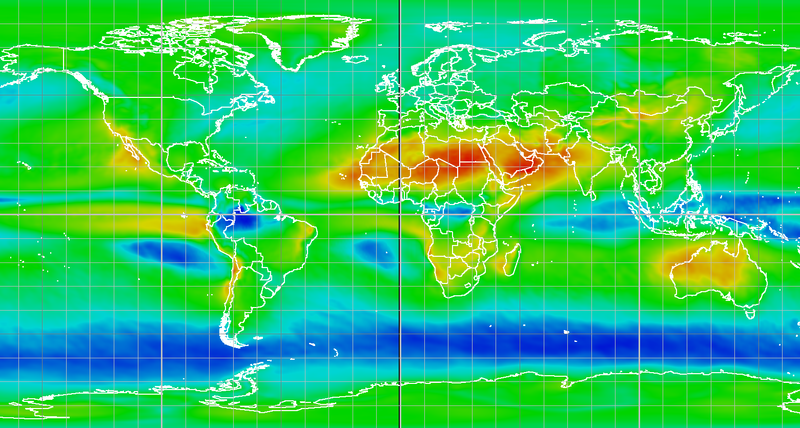 Therefore, equatorial areas do not experience cold and warm seasons. Instead, most equatorial areas usually have wet and dry seasons as they shift in and out of the Intertropical Convergence Zone (ITCZ), which is basically a band of clouds and heavy rain that encircles the Earth. Taking this into account, a good starting point to discovering areas with the least seasonal contrast (i.e. 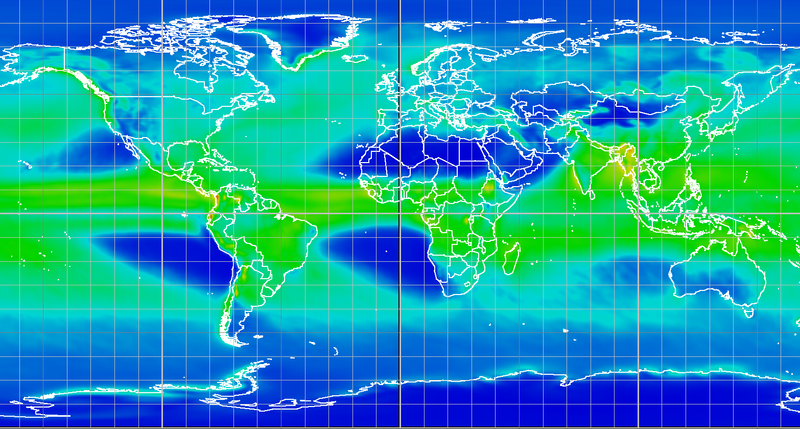 one season) is to find places near the Equator where the ITCZ varies less. The following is a figure showing the maximum northward and southward locations of the ITCZ during the year (taken from here but I added the equatorial line in red). By looking at how the ITCZ changes, it looks the place you are seeking for is in northern Brazil. This is just rough thoerization though. We can go further by looking at the actual data. As there is not a weather station at every location on Earth, our best hope is to use reanalysis data. This is basically data computed using all available weather station data to figure out atmospheric variables all around the world. One of the most reliable reanalyses is ERA-interim covering the period 1979-2018. 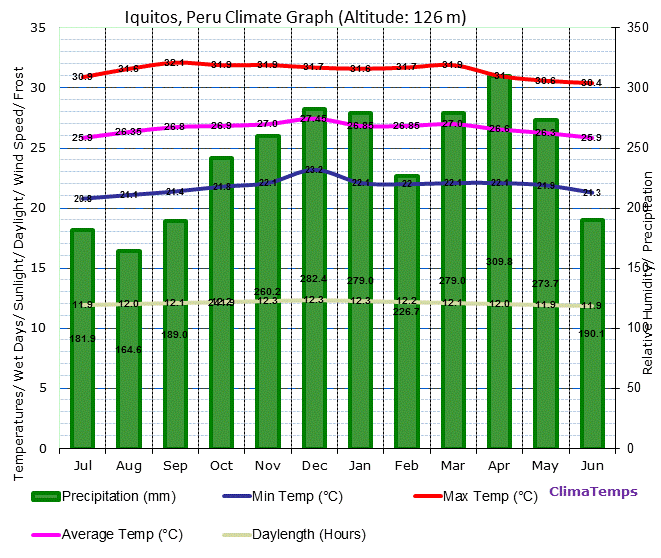 This data can be accessed and queried at KNMI Climate Explorer. As was to be expected, the smaller variation happens in the drier places. This is because the total precipitation is small and thus the standard deviation will be small as well. For example, if in a dessert it rains only 10 mm in any month, the maximum possible precipitation variation will be 10 mm, despite still being a big contrast between seasons. But in a tropical forest it might rain 400 mm in the driest month and 420 mm in the wettest, a difference of 20 mm, yet still have a negligible seasonal contrast. As we anticipated looking at the changes in the ITCZ, the most apparent equatorial area with minimal contrast between wet and rainy seasons is in northern Brazil/southern Colombia/northeastern Peru. But there are also some lesser areas in northern Congo in Africa and Indonesia in Asia. So those areas of equatorial South America and Africa appear to indeed be some of the least varying places through the year on Earth. What is a source of worldwide temperature data that also includes extreme weather? How to tell if a single day of weather is an anomaly or due to climate change? Are there datasets like the global land-ocean temperature index for land surface temperature only? What are good metrics to compare climates?